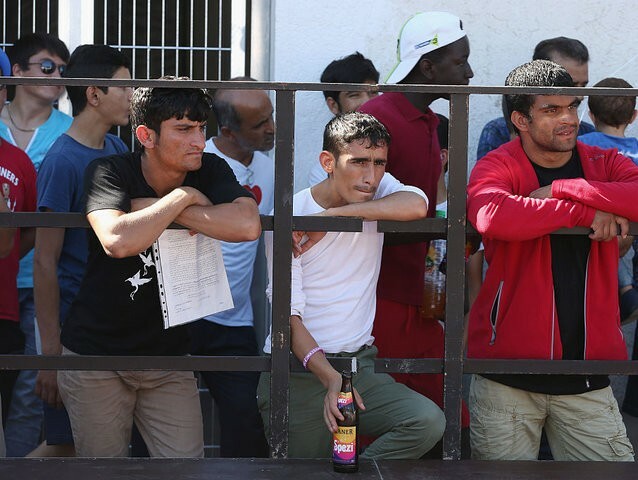 The German government has taken in tens of thousands of migrants from North Africa over the course of the migrant crisis and of the 8,363 who have been rejected for asylum only 368 were actually deported in 2016. The German government has released deportation figures for the first 11 months of 2016 and the number of North Africans that have been deported are a fraction of those who have come into the country in the last year. The Federal Office for Migration and Refugees (BAMF), the agency in charge of processing of asylum claims, has rejected many North Africans, yet they still remain in the country, Die Welt reports. The deportation figures come from the German Interior Ministry, who along with the regional governments are in charge of sending failed asylum seekers back to their countries of origin. In some cases such as migrants who come from the Western Balkan region, deportations both forced and voluntary, have been largely successful. However, the German government has not been able to resolve ongoing issues with repatriating failed asylum seekers to North Africa despite Interior Minister Thomas de Maizière travelling across the region last year to discuss the issue with Maghreb leaders. In 2015, the government estimated there were 10,000 Moroccans, 13,000 Algerians, and 2,500 Tunisians who had arrived and were likely ineligible for asylum. One of the major reasons for the increased difficulty has been the rise in migrants who have arrived in Germany and applied for asylum without any paperwork. BAMF does not record how many asylum seekers arrive without identification or paperwork, but the agency has estimated the figure could be as high as 60 per cent of recent arrivals. One migrant who came to Germany from North Africa without paperwork was Anis Amri, the Tunisian-born migrant behind the Berlin Christmas market terror attack. Authorities are attempting to deport other known Islamists who are failed asylum seekers, like Mr. Amri, but due to the lack of identity documents some 62 dangerous Islamists are able to remain in the country. Making matters even more difficult for the federal government has been the announcement by various regional governments, including the left-wing coalition in Berlin, to refuse to cooperate with forced deportations. The Berlin government has also released a report that plays down the nature of Islamist terrorism, instead claiming that right wing extremism is the biggest threat to the security of the city.